Good sunglasses are a necessity whenever you’re spending time outside. On the boat or streamside at a campsite, the gritty dampness of the outdoors combined with poor packing and storage options can wreak havoc on expensive, high-quality lenses. 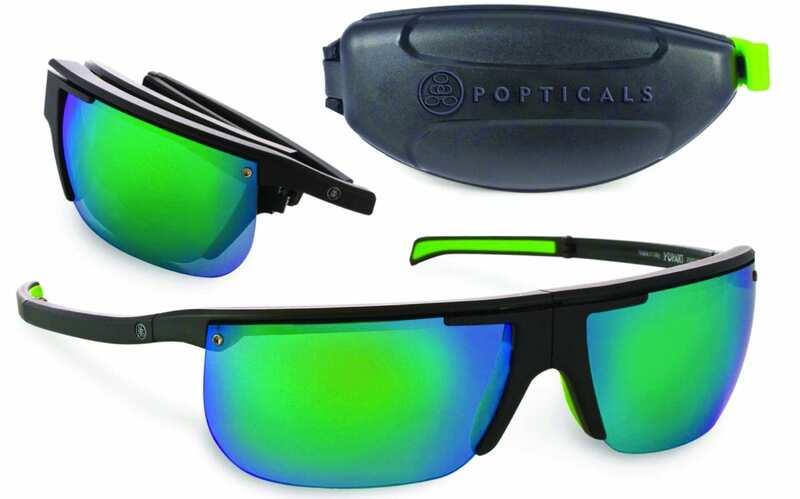 Popticals take packing and storage issues out of the equation with premium quality and stylish shades that fold down to a compact size to fit into a protective case that is small enough to be slipped in a pocket or clipped to just about anything with an attached carabiner. They are the perfect sunglasses for camping because you’ll never have to worry about them being damaged when they’re not on your face. And when packing space is at a premium, Popticals’ small profile and light weight means they’ll be out of the way yet easily accessible. Featuring NYDEF nylon lenses manufactured for Popticals by Carl Zeiss Vision, Popticals are high-perfomance polarized sunglasses. Nylon offers the same clarity of glass but weighs much less, which makes them more comfortable. Backpackers, who are always looking for ways to shave weight, will appreciate how light they are.